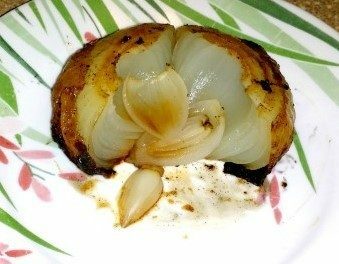 You are here: Home / Recipes / Super Easy Grilled Onion Recipe! I love onions, all kinds. I love them cooked and raw. 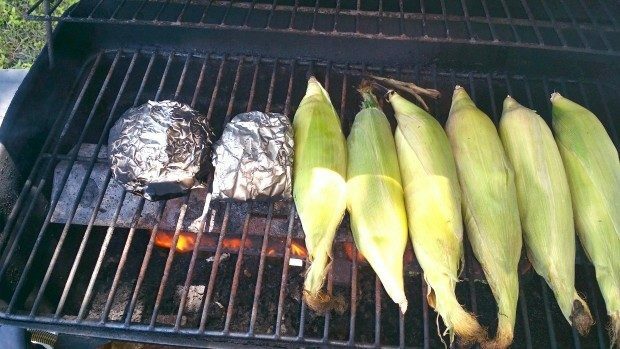 I especially love them cooked on the grill! 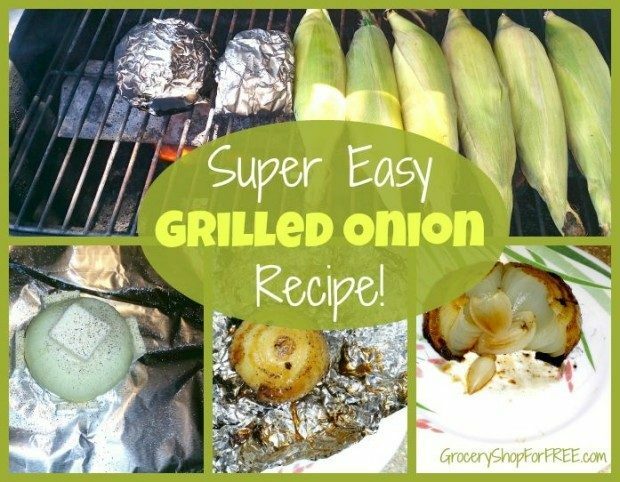 Did you know that you can clean your grill with an onion, too? We probably buy more onions than anything else around here, we go through them so fast! I can’t think of a day where we might not have onions in something we ate. Did you know some people even believe that onions can prevent cancer, diabetes, and even the common cold? 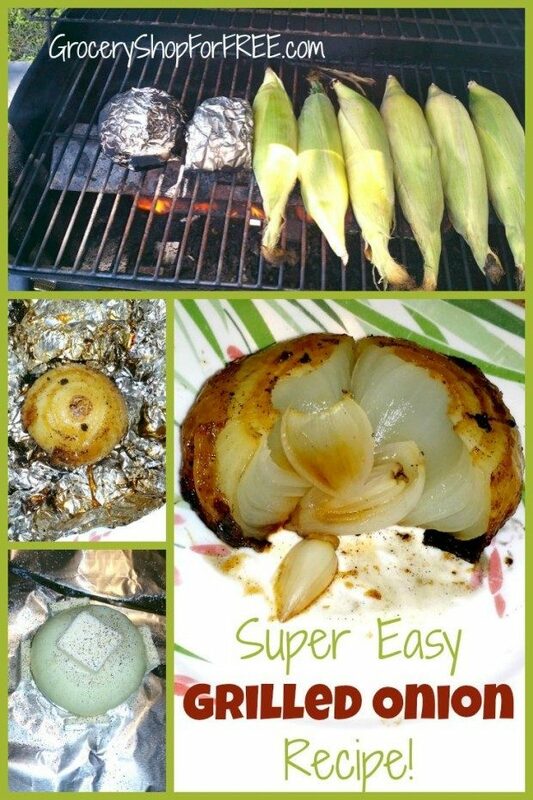 Hubby grilled some onions on the grill the other day and wanted to share how we do it! Cut both ends off a large onion and peel. 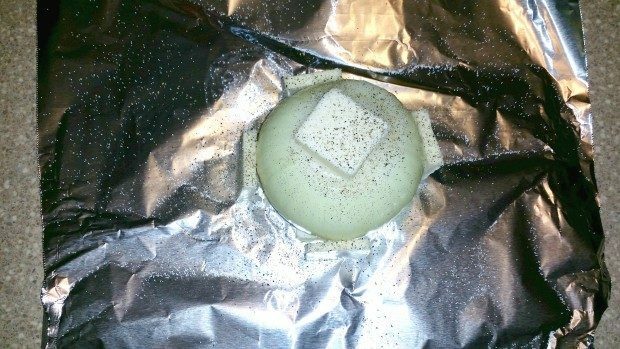 Place one pat of butter in center of large tin foil square and place onion on top of butter. Place another pat of butter on top of onion and stick two more pats on side of onion. Salt and Pepper liberally to taste. 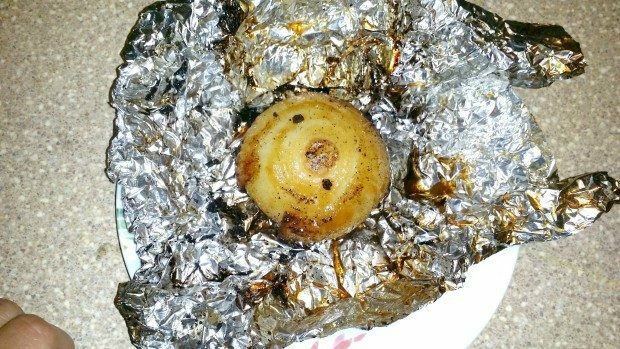 Wrap onion entirely with tin foil and seal well. Place on grill for 10 minutes, flip and cook for another 10 minutes. Let cool slightly. Unwrap and serve as a side or over hamburgers or other meat. Or eat it as a side dish! How do you like your onions? Share your ideas and recipes with us!